When working with PDF files, you may wish to add comments, notes, highlights and any other mark up to your PDF document. You may also wish to delete headers and footers. This article will help you learn how to easily remove header and footer from PDF with PDFelement Pro. The process of removing headers and footers from a document can be difficult without the right tool and the right instructions. Fortunately, this article outlines the four different ways you can delete headers and footers from a PDF document. The best and easiest way to remove headers and footers from PDF documents is to use PDFelement ProPDFelement Pro. This program is a complete PDF editing tool that comes with a lot of functions to help you easily edit your PDF document any way you’d like. It can also be used to edit all aspects of your PDF document including both text and images on the document. With OCR feature you can easily edit scanned PDF documents as well. 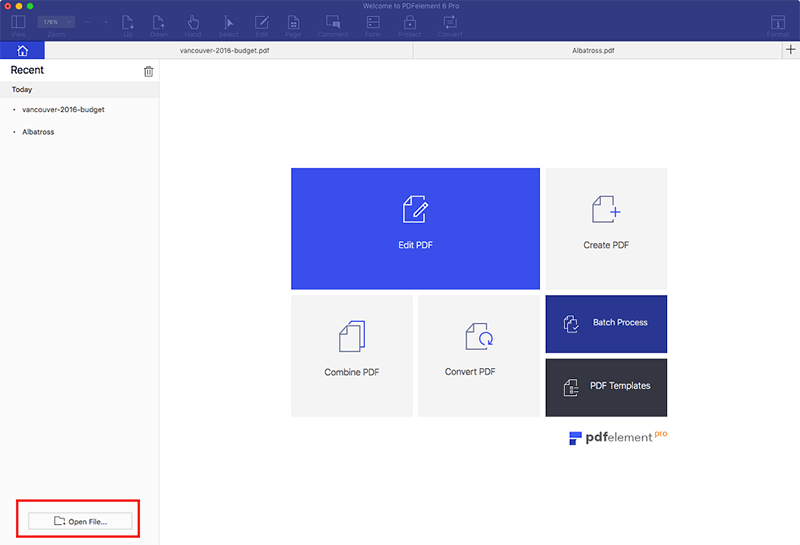 Here's a step-by-step guide to help you remove headers and footers from your PDF files using PDFelement Pro. If you do not have PDFelement Pro installed, please do so. Then launch the program. Click the "Open File" command. This will prompt you to import PDF files from your device. Once you have imported the files that you want, you can open the "Edit" tab, then click on "Header & Footer" and highlight the page that has header and footers you want to remove. Click on "Remove". A pop-up message will appear confirming if you want to delete the header and footer permanently. Click on "Yes" to remove unwanted headers and footers from all pages. To edit and mark up your file, click on the "Edit" button to view editing options. Once it is open, select the type of edits that you want to add to the PDF document. You can change font size and symbols, add text and delete text. To Mark up, click on the "Comment" button. Choose the Highlight text tool, the add Sticky Note tool, or the Textbox icon. 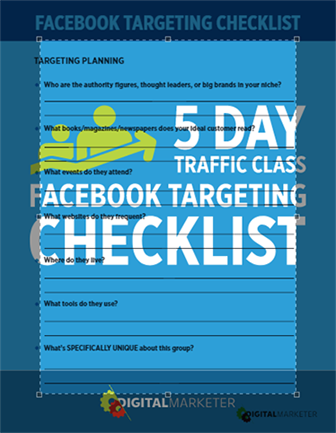 Select where you want to add the annotations and apply them accordingly. Remember to save changes when you are done editing. Are you trying to edit a large PDF document quickly? You need a powerful PDF-editing software like PDFelement ProPDFelement Pro. It comes with advanced tools, which you can use to completely edit and add text, notes, watermarks, headers &footers, images and links. This outstanding product also has an inbuilt OCR feature which is used to convert scanned PDFs to editable files that can be viewed and worked with easily. Another important editing feature of this program is the ability to convert other documents to PDF or vice versa. In addition, it provides you with the ability to import several files that you want combined into a single PDF. Similarly, you can compress or split PDF files with ease. Edit, add, delete, extract, copy and paste any text in PDF easily. 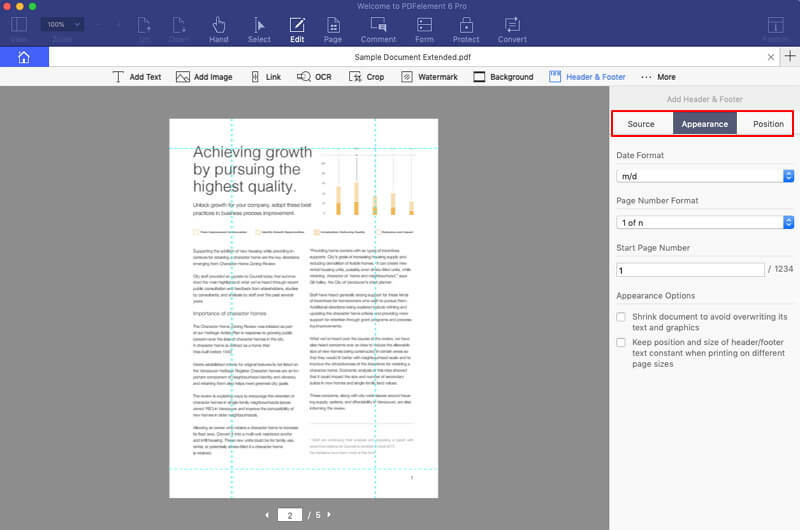 Fully control images, pages, header and footer in PDF. Convert PDF to Word and other formats while keeping the original layout. Add watermarks and passwords to secure your PDF. The advanced OCR feature allows you to edit and convert scanned PDFs with ease. Another way you can remove headers and footers from your PDF document is to use an online tool like Sejda PDF editor. 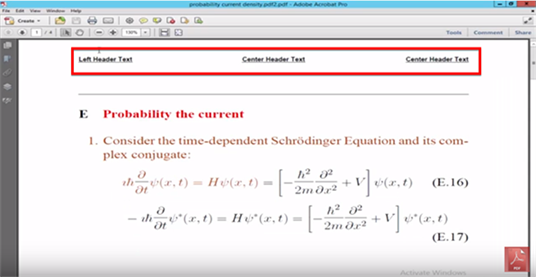 This free online tool can be used to not just remove headers and footers from PDFs online but also edit PDF documents any you want. To remove headers and footers in PDF online with Sejda, you can also crop the PDF pages. 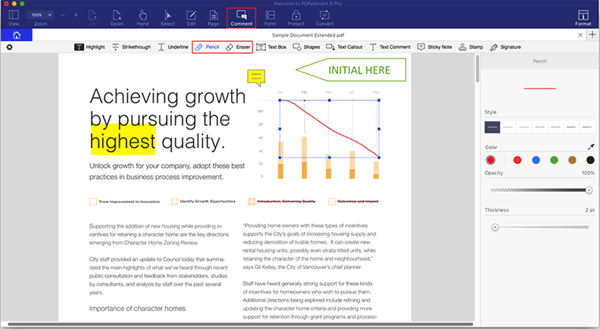 Here are the detailed steps on how to remove headers and footers in PDFs online. Step 1. Go to the website and you should see the following window. Step 2. To upload the PDF document, you can simply drag and drop the document into this window or click on "Upload PDF Files" to select the files you need. Step 3. The only way to remove the header and footer from this document using Sejda PDF editor is to crop out the header and footer section. To do that, click and drag the dotted line to surround the area of the document without the header or footer and then click "Crop PDF." There is no straightforward way to remove header and footers; you have to crop the PDF to remove them. The number of documents you can edit for free is limited and so is the size of the document you can use. The process is lengthy as compared to iSkysoft PDF Editor that can remove headers and footers from all pages in seconds. With Sejda, you have to crop each page to remove the headers and footer seperately. 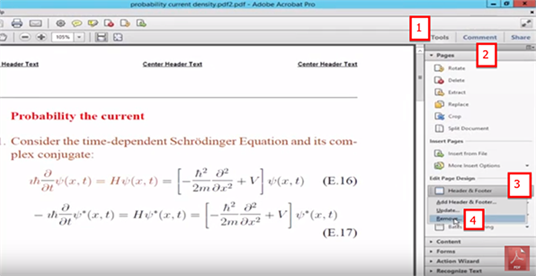 Adobe Acrobat also offers a great way to remove headers and footers from a PDF document. It is one of the best PDF editors for the job and the following is a guide to help you remove headers and footers from a PDF using this program. Step 1. Install Adobe Acrobat on your computer and then launch the program. Proceed to open the PDF document with headers and footers. Step 2. To upload your PDF document, simply drag and drop the document into this window or click on "Upload PDF Files" to select the file you need. The process of removing headers and footers is almost automatic but to find the actual tool to do this can be difficult. It is not immediately apparent which menu contains the headers and footers section. Adobe Acrobat as a PDF editor can be very expensive, putting it out of the price range of many users. It may also fail to open some PDF documents, especially documents that have been converted using other programs. Foxit PDF Editor is another widely popular PDF program that you can use to remove headers and footers from a PDF document. It is a comprehensive tool that can be used to edit most aspects of the PDF as well as add and remove headers and footers. Step 1. Open the PDF documents you'd like to edit in Foxit PDF. On the main menu, click "Organize" and then click on "Header and Footer." Select "Remove" from the options presented. Step 2. In the popup window that appears, confirm that you'd like to remove the headers and footers and the program will do so automatically. Headers and footers are often vital to a PDF document. They are used to identify the document since they can consist of the author's name or company logo if applicable. Since they can also contain the date the document was written, they are also a great way to identify a document that has a deadline or due date. But there are times when you need to remove headers and footers when the information is outdated or incorrect. Yet, the process can be difficult for a number of reasons. The following are the most common issues users experience when removing headers and footers from PDF. You can't remover headers and footers from the document unless you have the right tool. We've highlighted some of the best above but the process can be difficult without one of these programs. Make sure you actually want to remove unwanted headers and footers instead of just editing the information. Otherwise you'd have to re-add them into the document if you decide you want them later. Many users have problems removing headers and footers from all pages on the document at once. 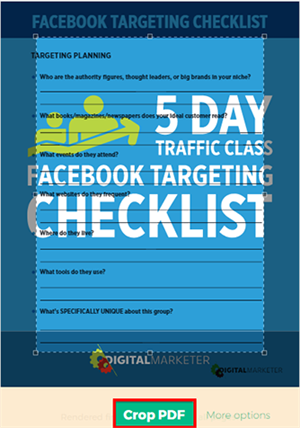 Many tools, like the ones outlined above will do that automatically. It is important to have a tool that can remove them from the whole document in one click without having to waste time doing it manually for each page.